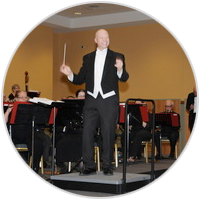 Music Director Dr. John Southall presents a season full of energetic and renowned music ranging from music of Disney, Broadway highlights in a series that also brings us acclaimed music from the big band era. Our concert season blends pops music with light classics and feature four themes, including our Holiday Spectacular, a Salute To America, Broadway To Big Band and our Love, Romance And More themed concert. Our commitment to low ticket prices is intended so anyone can come to our concerts! 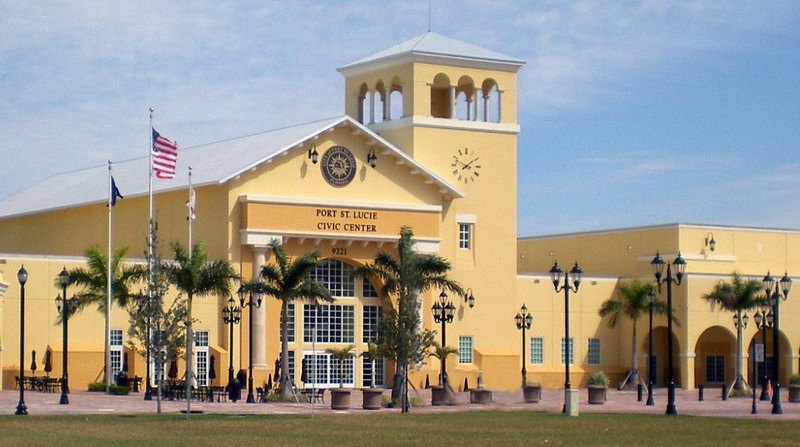 Our season performances take place at the Port St. Lucie Civic Center in Port St. Lucie, Florida. Tickets are required and are available in advance, at the door. or online Sitting is on a first-come, first-served seating arrangement. There is a cash bar and snacks available for sale. Concert starts at 7 p.m. in the Emerald Ballroom. Doors open at 6:30 p.m.
Children aged 12 and under free when accompanied by a ticketed adult. Limit 2 children per paying adult. Advance sale tickets can be purchased at the Civic Center Box Office, online or by credit card over the phone. First Time At Our Concert? If you are attending for the first time, below are some common questions to help guide you and make your experience more enjoyable. All our concerts begin on time. With that in mind, you should give yourself enough time to comfortably reach your seats prior to the concert time. Generally, we recommend arriving at the Port St. Lucie Civic Center 30 to 40 minutes prior to the concert start time. Doors open at 6:30 pm. What if I arrive late for my concert? Normally, if you are a few minutes late you can simply enter and take any available seating. 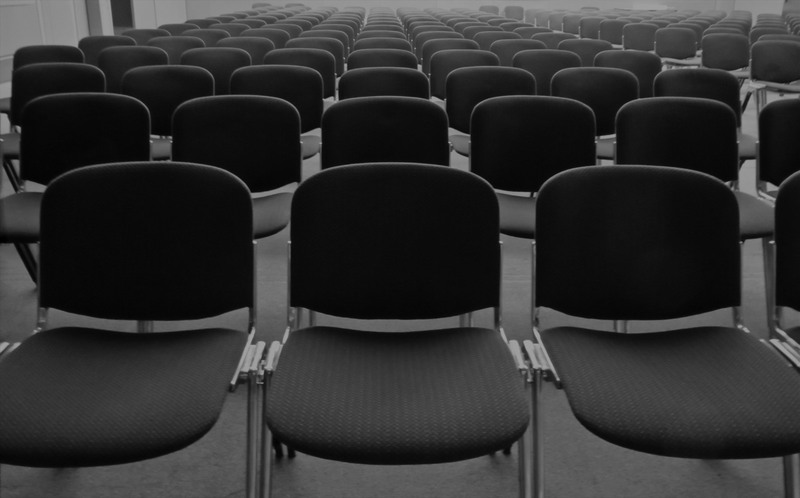 Some concerts — but not all — may have designated pauses, in which late arrivals can be seated at the discretion of the center. We recommend that you wait close to your seating area's entrance so that we can seat you as soon as possible if there is a pause. If you must to leave before the end, please do so between program works or during intermission. Since not all concerts will have additional pauses between works or an intermission, you may not be able to re-enter the hall after you depart. Program length varies, but a typical performance lasts about two hours, including the intermission. The Civic Center welcomes children of all ages. All of our concert are open to children of all ages and we encourage you to expose children to good music. All children, regardless of age, must have their own tickets for all performances. Is the Civic Center accessible to patrons with special needs? The Port St. Lucie Civic Center is accessible to all persons who have special needs. Please ask an usher for assistance If you have any specific requests or questions. What matters most is your concert experience, not your concert attire. You will see some concertgoers dressed up and others dressed more casually. Many patrons wear business attire or casual business attire, but we invite you to wear whatever makes you feel most comfortable. How does the seating arrangement work? Our concerts take place on the Emerald Ballroom. There are no seeing assignments and seating is on a first come firs serve basis. Normally, you would clap at the end of each piece. However, there are some works that have separate movements or sections. A short pause usually falls in between each of them and, over time, it has become customary not to clap during these short pauses. With the world's greatest soloists featured at Symphony Center, however, this custom is sometimes impossible to adhere to! It may be a good idea to bring cough suppressant tablets with you just in case. In an effort to help reduce distracting noises and enhance the concert-going experience, we ask that if you have a coughing attack you step out into the hallway if possible. Parking is free at the Civic Center. There is a parking garage available just across the street from the main building. Can I take pictures or record the concert? Cameras and recording equipment may not be used at any of our performances. The Port St. Lucie Community Concert Band | (772) 871-2863 | Providing Live Musical Entertainment For Port St. Lucie & The Treasure Coast. » Designed by Orlando Haddock.